San Joaquin Religious Goods, Inc. is now part of Cotter Church Supplies, Inc. a family owned business. 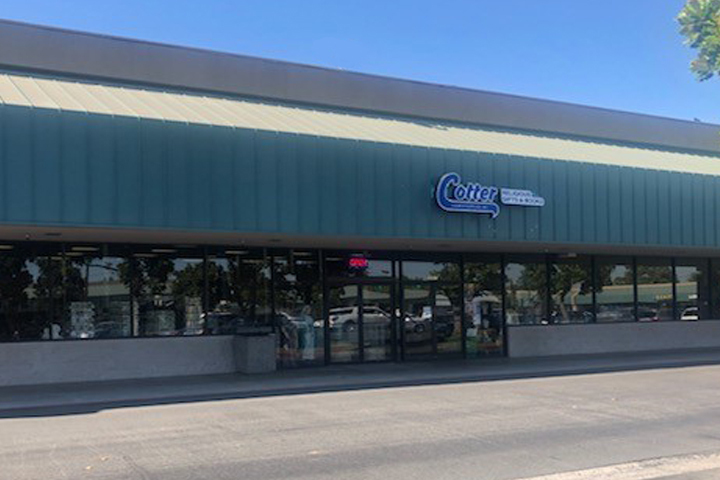 Since 1948, Cotters has served the Southern California area, expanding to Central California in 2010. We have 5 locations to serve you! Stop in to see our huge inventory. Please visit our online store at Cotters.com. You will be redirected there after several seconds.